We are still a few weeks away from a new year but already my race calendar has some GREAT events on it! I try to not let running take my life over completely but I do like having races to keep me on track and working towards something. Along with my list below I also will run local 5ks but they are typically more of a last minute decision to go and run and usually are not planned to far in advance- even though I have a few races that I do love every year! So without further ado here it is! Shamrock Shuffle 15k– This race takes place on March 15th at 9:00 a.m. at the Breakwater Junction trail in Rehoboth Beach and organized through Seashore Striders. It runs from the trail head behind the outlets to Lewes and back. It is a beautiful trail run with some scenic water views. I like this race simply because of the distance- It fits perfectly into my training for the spring half marathons I have planned. A 5k is also offered! You can check out last years recap here! Tim Kennard 10 Mile River Run– This race will take place in Salisbury, Maryland on March 1st. This will be my first year every participating in this event and I am looking forward to it! Along with the 10-miler the event also offers a 10-mile 2 person relay, as well as a 5k distance. Cherry Blossom Ten Miler– I was very excited to receive word I was once again picked in the Cherry Blossom Lottery to participate in the race this year. This years date is April 12th! Last year my sister and I ran the race and had a great time and this year we have expanded our running pack and MORE friends will be joining us. This race runs through D.C. and highlights the monuments and all the charm and beauty the city has to offer. Fingers crossed the Cherry Blossoms are in full bloom this year!!! Even though this race is a lottery they do have fundraising spots available if you really wanted to participate! You can read last years race recap here! Seashore Classic Half Marathon– This is another Seashore Striders event which will take place on April 19th. Last year this was my “Practice Half” and it ended up being my HM PR! This race starts at Irish Eyes in Lewes, Delaware and runs through the Cape Henlopen State Park. While this is a smaller race it is mapped out perfectly to always see other runners and fully see the state park. This race will be an exciting one not only for me but for my husband and his friend as well- it will be both of their 1st half marathons! This event offers a 5k and a 2-person relay for the half. Every year this event gets a little bigger and hopefully will serve to be as perfect as it was last year! You can read all about my race here! Island to Island Half Marathon– This half marathon has been taking place in my “back yard” of Ocean City, Maryland for the past 10 years and I have never done it. This year it is time to change that! This is a point-to-point half that starts on Assateague Island and ends on the Ocean City Boardwalk! Talk about a “beachy” race! This race takes places on May 2nd. The race will coincide with the towns famous Spring Fest which is Ocean City’s Official kick off to summer! Bottle & Cork 10 Miler– The last race in the Ten Sister of Dewey Road Race series is one of my all time favorite races! This 10 miler runs through Dewey and Rehoboth highlighting the fabulous neighborhoods, Silver Lake and the Rehoboth Beach boardwalk. The date of this race is September 12th. This will also be a special race as it will be one of my best friends longest ever races! I love sharing these special milestones with my friends! While I do not have a recap of this race just know it is fun, beautiful and has a great after party! The best part about all these races is that they all (minus Cherry Blossom) take place within 30 minutes from my house. While I do enjoy a nice racecation every now and again there is something to be said for having quality races of all different distances close to where you live. A brand new race to the area that will be sure to please. Another beautiful run through our little beach towns. Be sure to like them on Facebook to updates and deals along the way. I have not entertained the idea of a fall/winter race yet but will start to consider one as 2015 gets rolling. To keep things “local” I may try the Rehoboth Beach Half Marathon or who knows maybe I will take the season off! 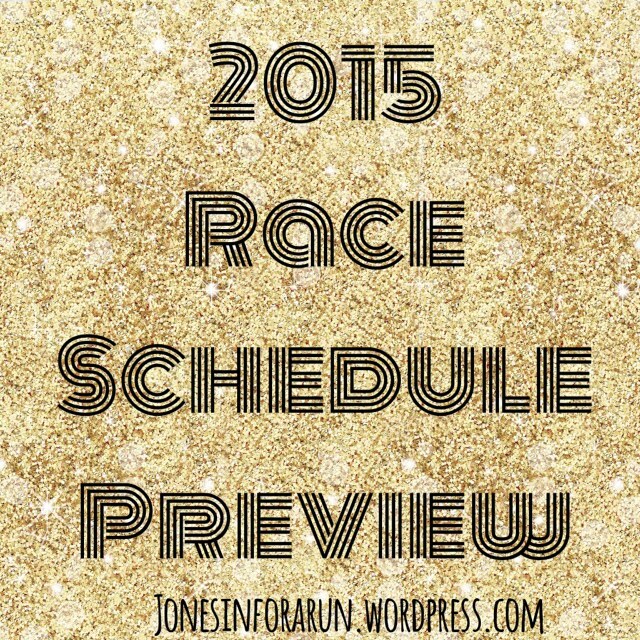 Do you have any big races planned yet? Any big racing goals for the year? I would love to hear about them! !